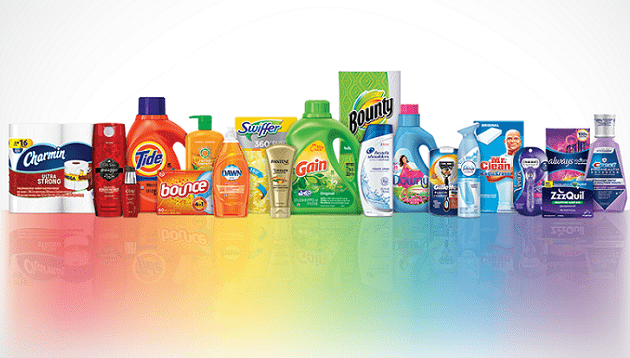 FMCG giant Procter & Gamble (P&G) has revealed in its latest earnings call with investor that it sees “more savings potential” in areas such as advertising agency fees and production costs. This was after achieving nearly US$1 billion in these areas over the last four years, CEO David Taylor said. Overall, P&G plans to return to one-stop shops “where it makes sense”, and reunite its media and creative. It is also implementing six in-flow models and reducing the number of fixed retainers. It will also flow creative resources in and out on an as-needed basis. “These changes not only reduced the number of agencies and saved money, but led to better quality, greater creativity, and faster development cycle times,” Taylor added. In addition, the company is also looking at more efficiency in media delivery and expects a majority of these savings to be reinvested into more effective delivery of ads to more consumers. Another area of savings the company has experienced is also the “elimination of substantial waste” in the media supply chain. This saw P&G eliminating waste regarding excess ad frequency, which previously saw the brand reaching consumers 20 to 30 times a month, instead of the suggested average of three. As such, P&G reduced excess frequency and reinvested these savings to increase media reach. “We see further opportunity in moving from wasteful mass marketing to mass one-to-one brand building, enabled by data and technology,” Taylor said. Using China as an example, where P&G’s media spend consists of 70% digital, and 30% of sales being in e-commerce, Taylor explained the company achieved 30% savings in digital spend, while increasing digital reach by 60%. Previously, brands such as Olay China were running up to six different ads at the time and changing ads every two months. With the intervention, media spend has gone down by 50% over the last two years for Olay, while delivering double digit growth for five consecutive quarters. Meanwhile, the company’s net sales in the April to June quarter were US$16.5 billion, which was an increase of 3% compared to the year before, including a 2% positive impact from foreign exchange. Organic sales saw an increase by 1% on a 3% increase in organic volume. Pricing had reduced net sales by 2% from an increase in merchandising investments. P&G expects organic sales for the second half of 2019 to be stronger than the first half due to pricing and productivity savings. The company also added that it is in the process of executing a 4% price increase on its Pamper brand in North America, and a 5% increase on its Bounty, Charmin and Puffs brands. Most recently, P&G’s cut on production work prompted one of its agencies Publicis Communication to reorganise its production units at three of its creative agencies in New York. APAC however, was not impacted. This is also not the first time P&G has worked to trim its media spent. In March, Marc Pritchard P&G’s chief brand officer Marc Pritchard confirmed a digital ad spends slash by US$200 million last year. The amount was invested into other areas with “media reach” such as e-commerce, audio and even television, helping to increase reach by 10%. P&G also said it was reducing the number of agencies it was working with, and implementing new agency models, in a bid to save US$400 million. This includes efforts such as reducing non-viewable ads, which enabled P&G to eliminate waste and reduce losses. In 2017, the brand revealed plans to reduce marketing spend by US$2 billion in the next five years, as part of a broader US$10 billion cost reduction plan it launched one year ago. Its annual report added that P&G’s advertising expenditure was at US$7.1 billion in 2017, down from US$7.2 billion in 2016. In the same space, competitor Unilever revealed in February that it allocated about US$300 million of its productions savings in 2017 to media and in-store marketing. This comes after it saved approximately US$700 million from production costs in 2017, by producing fewer ads and relegating more work in-house. Suppakit Limboonsong joins from role of general manager at Spark Foundry, with over 12 years of experise in maret insights and res..